Phil Kitze and the Resonators have been together for over 20 years. The band plays a variety of Rockin’ Blues, Rockin’Roll and original music, but Chicago and Texas Blues is their mainstay. With a very upbeat style, the band attracts a lot of dancers. 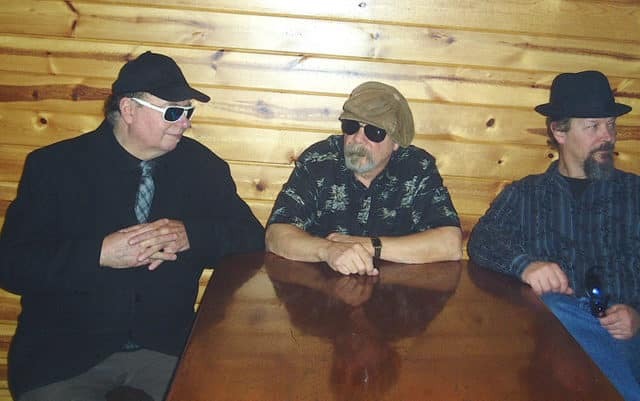 They have a versatile repertoire doing 50% original blues and rock and roll, and covers of Johnny Winter, Jimi Hendrix, Bobby Blue Bland, Freddie King, Albert Collins, and Elmore James to name a few. Lineup includes Jeff Rogers, drums, Larry J. Beckmann, bass, and Philip Kitze guitar, slide guitar and vocals.